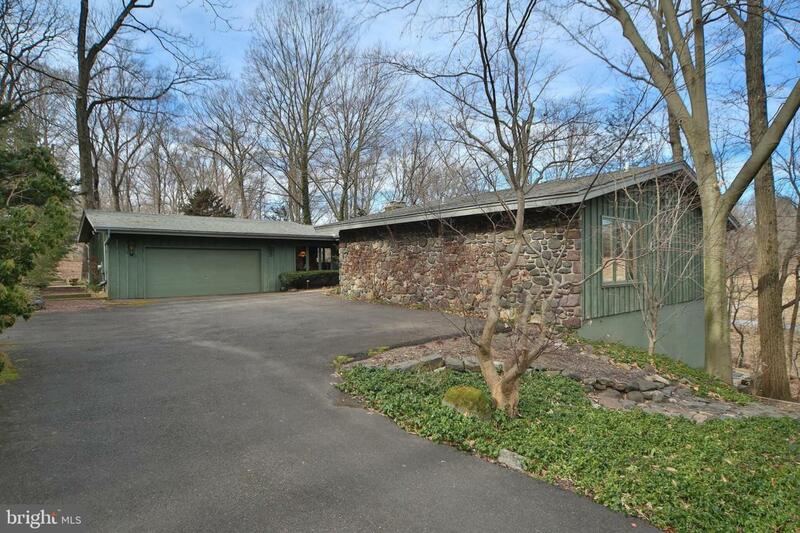 This Hillside "Mid Century Modern" Ranch at 949 Highland Rd must be seen to be appreciated. If you like to be surrounded by nature and would love to have your bedroom on the same level as your great room and kitchen, come see this property. The driveway sets the tone for what you will discover as a lifestyle here in Upper Makefield. 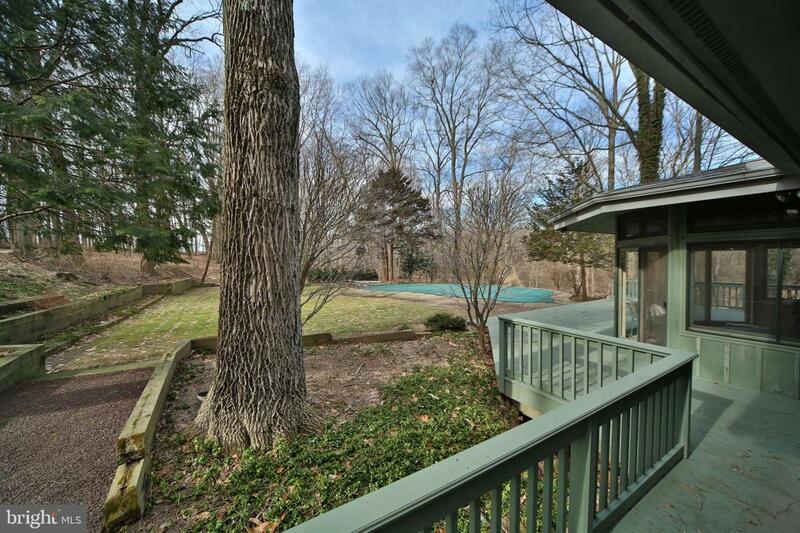 This home sits high above Hough's Creek, nestled into the sloping countryside. Upon entering the home, you will get a sneak peek at the expansive view that is inspiring from the awesome great room. The great room features soaring wooden ceilings and a stoned wall with large double sided fireplace box shared with the adjacent dining room/den. You cannot help but to wander to the sliders and want to walk out to the deck and take in natures beauty from all sides. The deck wraps around the entire house and leads you to the outside concrete pool, and patio area. The views from this vantage point does take your breath away and instantly lends itself to a relaxed feel. This house is surrounded by large parcels that are protected, so this little slice of heaven will always be a private sanctuary, just outside of all the towns amenities. These sellers also built a porch, off the back of this home, so you are able to really take it all in. With panoramic views, you can sit here relax, dine and take in the poolside activity. The eat in kitchen has great light from the oversized windows and has convenient access to garage and laundry room, which makes for great functionality. Down the hallway you will find three bedrooms on this level. The master has its own full bath, a walk in closet and a view that you will want to wake up to. The floor to ceiling windows brings the outside in, creating a pure back to nature notion and healthy life element. The other two bedrooms have similar large windows that bring in the beauty of mother nature as well. There is a large hall bath on this level as well. The lower level walkout, presents all new possibilities to explore. There is a room presently set up as a bedroom although it would make a great office. There is also a half bath within this room. The large open room housed a pool table until recently, and lends itself to entertaining especially with the walkout area that perches you above the ravine. Tucked back in this area is a great workshop room and access to a full standup storage area that runs the length of the home. The storage in this home is plentiful! 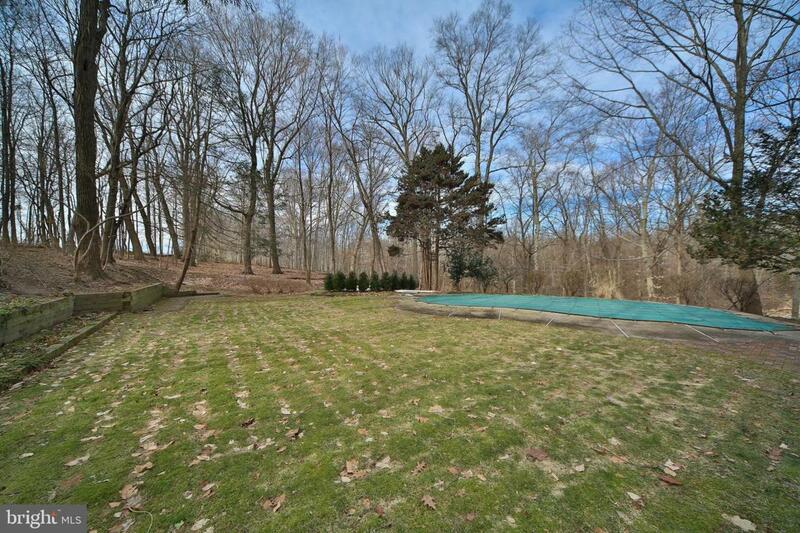 You will be hard pressed to find a home with a setting like this anywhere in Newtown. The two car garage keeps your car dry during the snowy months! The lot next door can be purchased as well, so many options and the possibilities are endless. 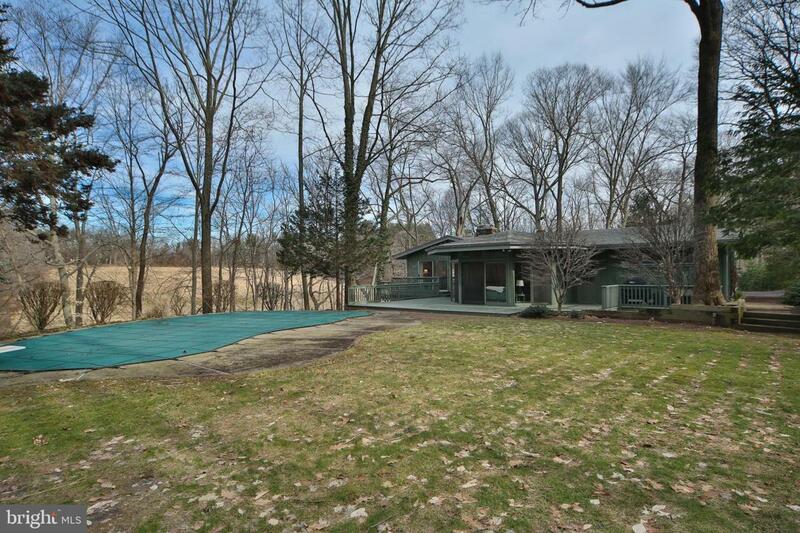 Come see this captivating hillside ranch that presents a Frank Lloyd Wright Feel.